Rebecca Nathanson is a freelance journalist in New York. She has previously written for In These Times, n+1, The Nation, RollingStone.com, and the Village Voice. Can This New York State Campaign Finish What the Paris Climate Talks Started? The COP21 agreement is filled with holes—this diverse, statewide coalition aims to fill them. States around the country are eager to adopt Oregon’s “Pay It Forward” tuition plan, but organizers warn that it may not be the best fit for every university system. 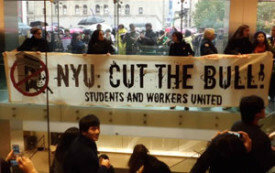 With its ever-expanding roster of campuses around the world, NYU is leading the way toward the corporatization of higher education. 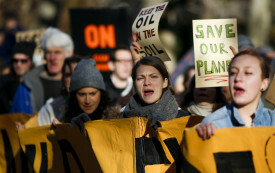 Author Christian Parenti, in conversation with NYU student Rebecca Nathanson, explains why fossil-fuel divestment campaigns—now gaining popularity on college campuses thanks to Bill McKibben—may be a costly distraction. 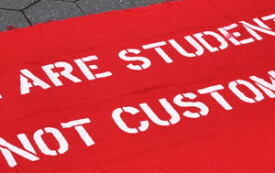 When Daniel Straus's company locked out workers, they showed up at NYU to protest. 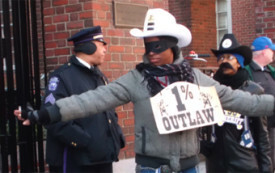 It turns out the anti-labor protesters they encountered there were hired by the company.